Our sense of taste is comprised of five basic tastes - sweet, salty, sour, bitter, and umami - and other related sensations - spicy and astringent. Among the other four basic tastes, the umami taste is more subtle, so most people don’t recognize it easily, but we can detect it when taught to taste foods carefully. To learn how to identify “umami” taste and how to incorporate it in our cooking, it is important that all have the same experience. This is why the Umami Information Center always includes tasting of umami rich foods and dashi, Japanese soup stock, and bouillons during lectures. In Chapter Ⅰ, “How to Experience Umami”, we present umami rich ingredients and recipes. Then, Chapter Ⅱ “How to Utilize Umami” is dedicated to its application. We hope this article helps you to understand the umami taste. Umami substances are found in vegetables such as tomatoes, fermented food, dried mushrooms, and so forth. 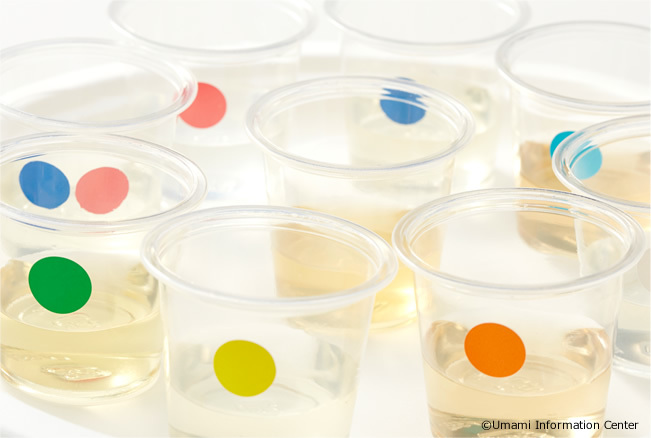 Through tasting umami, you can deepen your understanding of umami. Combining the major umami substances, which are glutamate, inosinate, and guanylate, brings about richer umami. 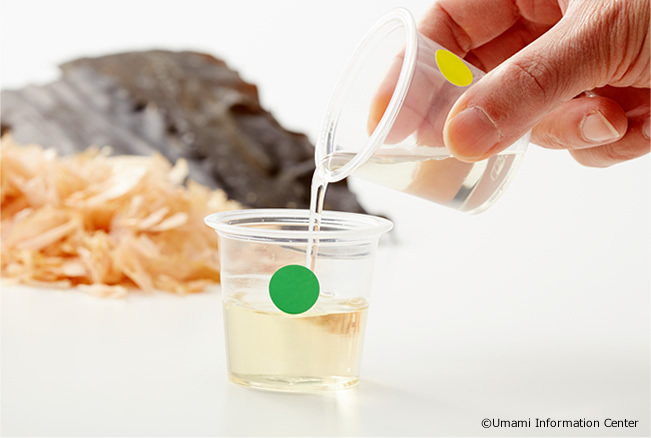 You can try the umami synergistic effect by tasting various dashi.